Hi everyone! This post is coming out a couple of days late. I’ve been fighting a nasty sinus headache for the last few days, and it has made it almost impossible to get anything done. But I’m back, and eagerly hoping this is the last bit of this cold, because it has been brutal. Well, of course that qualifies as a request. I was a little perplexed by the color comment though. I checked out my copy of the meal planner, and it looked fine … in grey scale. I don’t honestly remember ever seeing my meal planner printed in color. Well, first things first, I printed it out …. and promptly decided that I’ll be redoing that one next month. But Mel said something else in her email that I wanted to address, mainly because I’m sort of the same way. I don’t plan breakfasts and lunches for each and every day. 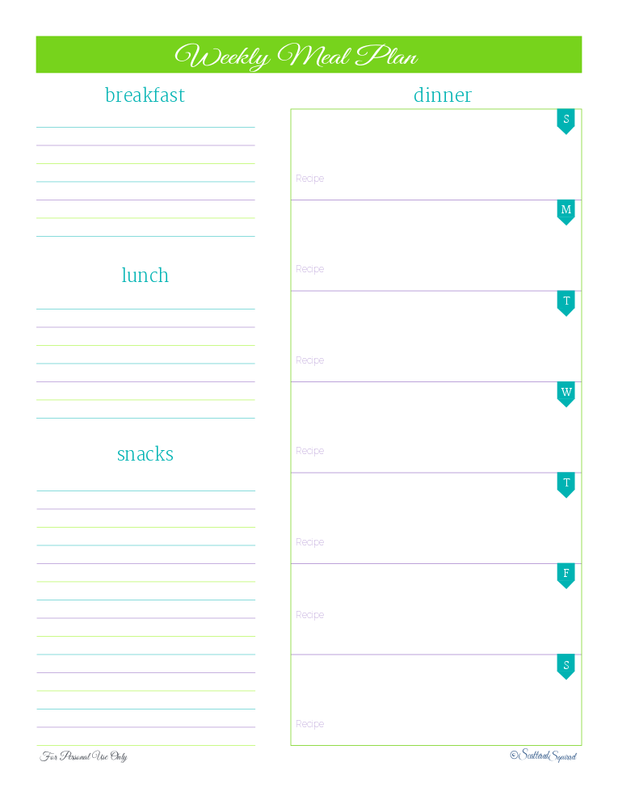 So after exchanging a few emails, asking some more questions, here is the new meal planner I came up! Like many of the printables on this little ole blog, I kept it simple. Mel told me that she likes to have room to reference what, if any, recipes she’ll be using for dinner that night, so I chose to make this one portrait in orientation. This allows each dinner box to have some extra room. Mel also mentioned that breakfast, lunch, and snacks aren’t really items she plans, but having a place to list out her ideas would be good, so I made sure to include space for that too. Then end result was a simple, non-color saturated meal planner. 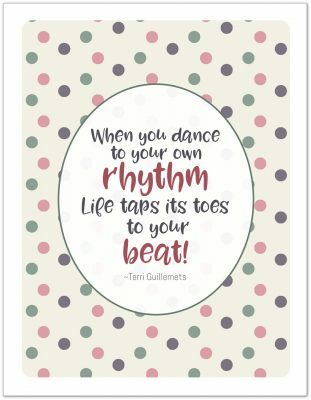 I love whipping up printables for you! It is so much fun, and getting to work with you, getting to know you a little, is such an honor. You all make this hobby of mine something that I get to share instead of just something I do for myself! Thank you! For reading, for printing, for pinning, for just being here! Each and every one of you ROCK!!!! Hope you are having an awesome weekend! I’ll be back tomorrow with more HMB printables! Do you plan your meals? Do you just sort of wing it? This website is so awesome, informative, easy to use, and practical. Thanks a bunch. This is EXACTLY what I was looking for! It’s just me and my daughter now (it was me and three kids before, but they are grown and out of the house) and planning breakfast and lunch is pretty much obsolete. We can both reference the plan to decide what we’ll eat and since the grocery store is across from where we live either one of us can grab what we need if we are out of an ingredient. Thank you! !